Blue Chip International are the only reliable Income Tax Consultants in Pakistan. With a history of over 5 years in the field of Income Tax Consultancy today Blue Chip International is the name of trust and reliability among all the consultants providing Income tax Advisory services in Pakistan. Assistance in Issuance of National Tax Number (NTN) for the clients. Assistance in Issuance of Sales Tax Registration Number (STRN) of the clients. Monthly and Annual Statements filing of Income Tax and Sales Tax Return. Advisory on a day to day tax issues faced by the clients. Assistance in going through Audit conducted by FBR. Filing of Appeals of Income Tax at all levels. Assistance in obtaining refunds from Federal Board of Revenue. Assistance in obtaining Exemption certificates from various applicable taxes to the organizations. Payroll Running and Tax Deduction guidelines. Some of these services are mentioned above however based on our experience and team strength we can assure you a complete solution to any income tax issue that comes your way during conducting business in Pakistan. 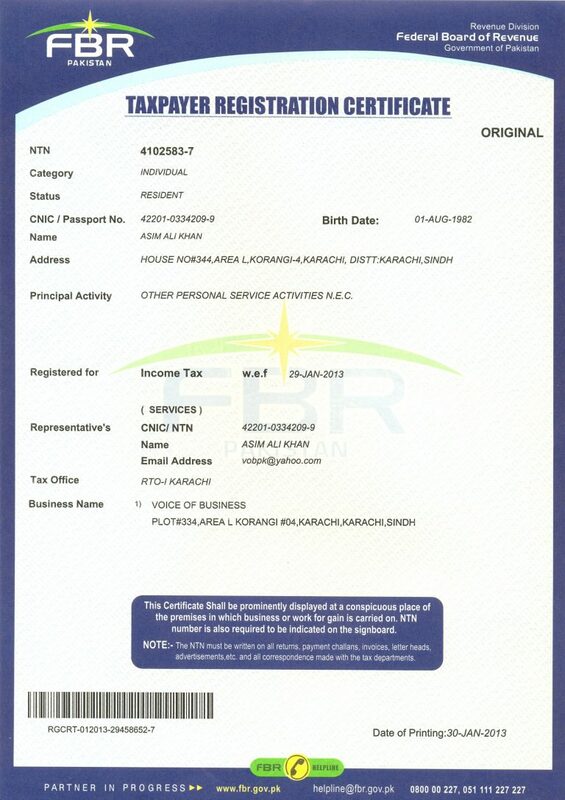 Blue Chip International is one the most reputable name among Income Tax Consultants across Pakistan. We are team of young and experienced professionals with years of experience in handling corporate Income tax matters. As Income Tax Consultants we keep strict eye over the changing Income legislation in Pakistan in order to provide accurate and timely updates to our clients to avoid any litigation from Income Tax Department. Advisory services including determination of income and changeability of tax, exemptions, and withholding tax matters. Filing of annual corporate return in accordance with the applicable Income Tax Ordinance, 2001. Day to Day Income Tax Compliance as required including Advance Tax Calculations. Filing of Income Tax Withholding Statements as required under the Income Tax Ordinance, 2001. Obtaining of National Tax Number and Sales Tax Registration Number. Income Tax Advisory for day to day tax issues faced by corporate clients. Filing of appeals before Income Tax authorities. Presentation of case before Income Tax authorities. Sales Tax Monthly returns filing. Income Tax Exemptions certificate handling. Monthly Newsletters regarding Income Tax Changes. Income Tax Consultant is the basic need for successful operation of any organisation. As Income Tax consultants we can develop your organisation in such a manner that tax implications are applicable at minimum and the same time any litigation before Income tax authorities is to be avoided. We have been serving as Income Tax Consultants for years and years for our corporate clients and if your require any assistance with respect to any tax matter we as tax consultants are more than happy to serve you. Blue Chip International as Income tax Consultants are not only serving corporate clients but we have plenty of individual clients who are getting benefit of our Income Tax Advisory services. People in Pakistan know YI Income Tax Consultants as reliable name among Income Tax Consultants and since we have gained this trust with years and years of efforts we surely want to be in people trust as Income Tax Consultant. So if you are looking for reliable Income tax consultant we are surely the best and reliable option in Pakistan.